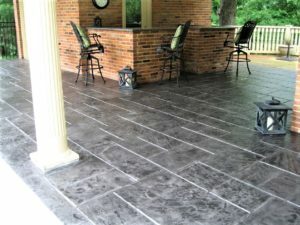 Stamped concrete is one of the most popular decorative concrete trends among homeowners nowadays. 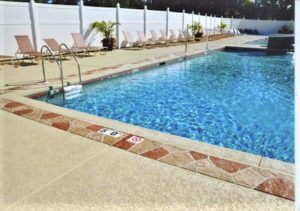 If you are interested in it but scared of how much an impact it would make or how much it would cost, you can start with subtle additions on the patio, pool deck, or driveway. You do not have to cover the entire concrete space if you don’t want to. In fact, here are ideas that are subtle but still yields impressive results. One great way to incorporate a stamped pattern on a concrete space is to create a border. This immediately boosts the appeal of the space without being too over the top. The cool thing about this is that you can choose a super elaborate design because the un-stamped area in the middle balances it all out. This is also ideal for those who are enhancing their backyards on a budget. If you are not interested in the fully stamped look, choose small areas where you concrete stamping can be done. 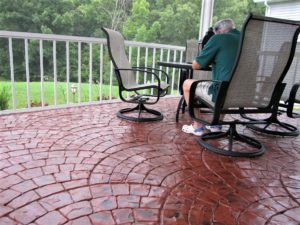 You can opt for a stamped concrete pathway or walkway. You can focus the stamping on the main entertainment or seating area, too. Another thing you could try is to add stamped concrete patterns around focal points, like a built-in fire pit or a water feature. 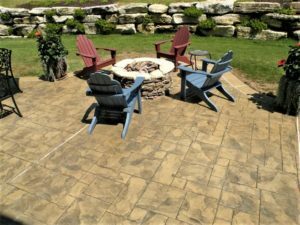 One of the factors that affect the total cost of a stamped concrete job is the pattern choice. The more complicated, the more expensive. If you have a tight budget but would really want a fully stamped backyard space, choose a simple pattern. Popular minimalist patterns include tile, running brick, a fractured slate texture, and more. It is not always true that you need a lot of colors to make a space beautiful. Sometimes, simplicity is captivating, too. On a stamped concrete surface, choose one simple color and stick with it. Make sure you choose a color that matches or complements the exterior of your house. Neutral tones are best because they go with anything. If you are the type of who embrace simplicity and minimalism, or if you are simply on a budget, these ideas should help you achieve what you want. There is no wrong or right in this as long as your desires are met. To get more solid advice, consult a pro on stamped concrete.